Gold Bond Medicated Body Powder Original Strength. 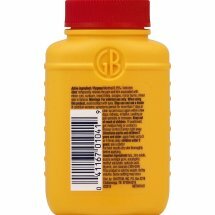 Gold BondÂ® MedicatedÂ® Original Strength Body Powder.GB. Uses: temporarily relieves the pain and itch associated with: minor cuts, sunburn, insect bites, scrapes, minor burns, minor skin irritations. The powder with the power. Active ingredient/purpose:Menthol 0.15%/Anti-Itch.Inactive Ingredients Talc, Zinc Oxide, Acacia Senegal Gum, Eucalyptol, Methyl Salicylate, Salicylic Acid, Thymol, Zinc Stearate (309-004).